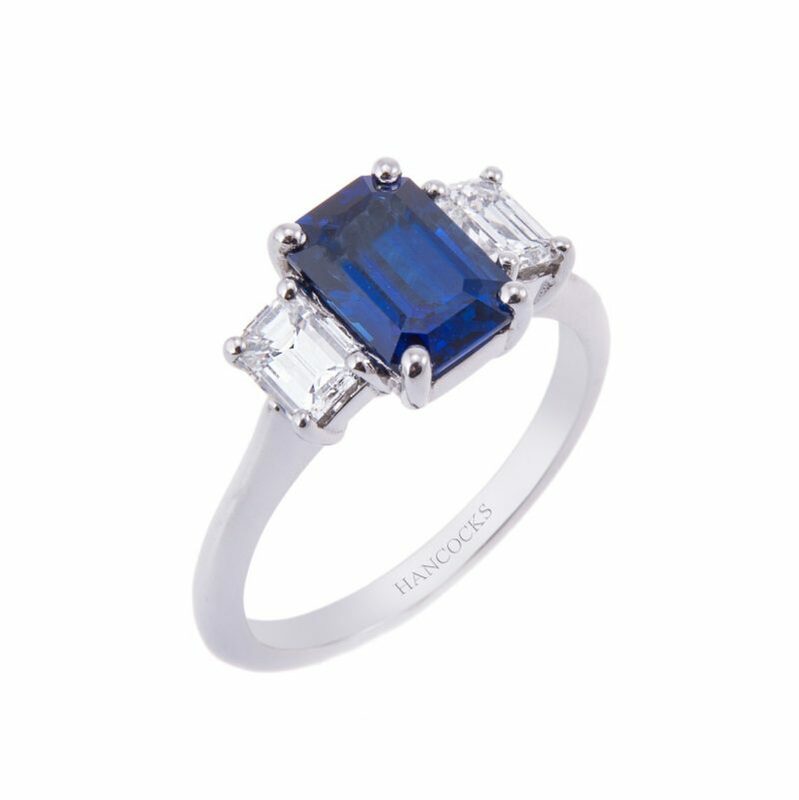 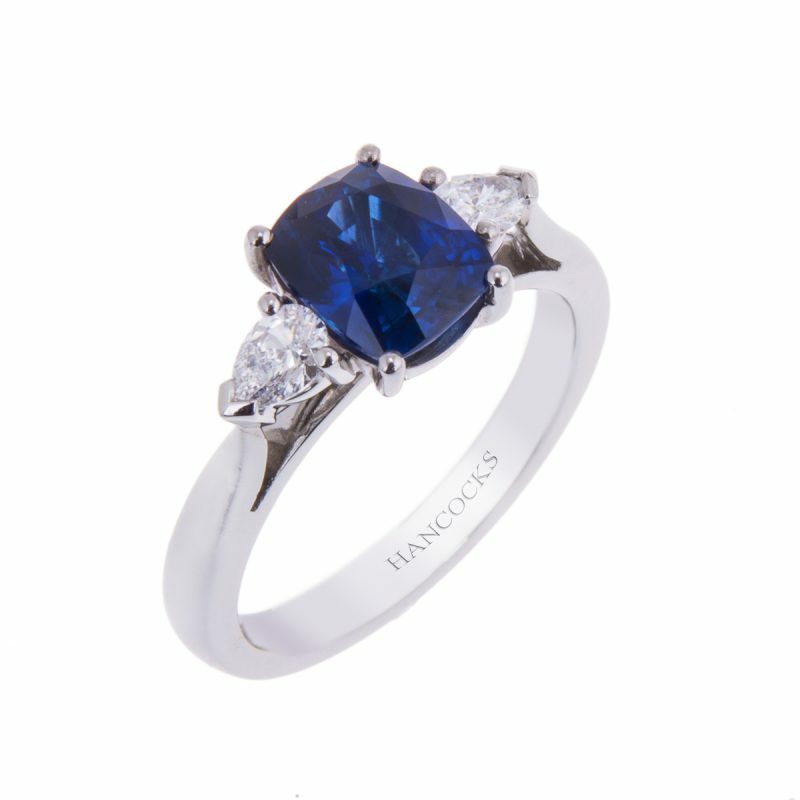 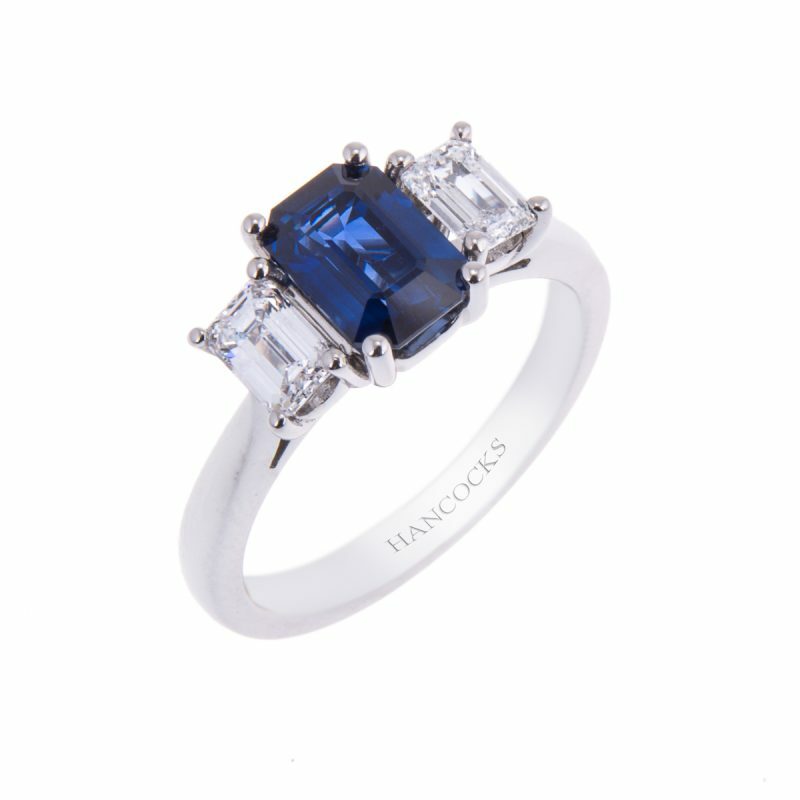 One of our most elegant 3-stone sapphire and diamond rings, mounted with a central emerald cut sapphire of the finest colour, flanked on either side by perfectly matched emerald cut diamonds. 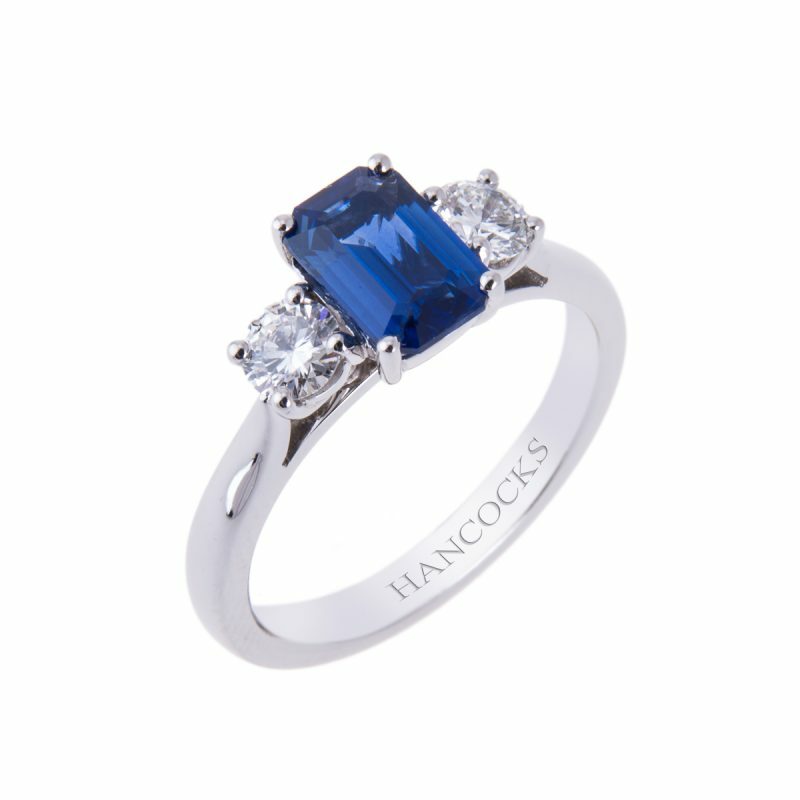 Mounted in a platinum under wire claw setting which has been specially designed to sit perfectly flush next to any of our wedding bands, whilst also allowing the diamonds to display their natural fire and brilliance. 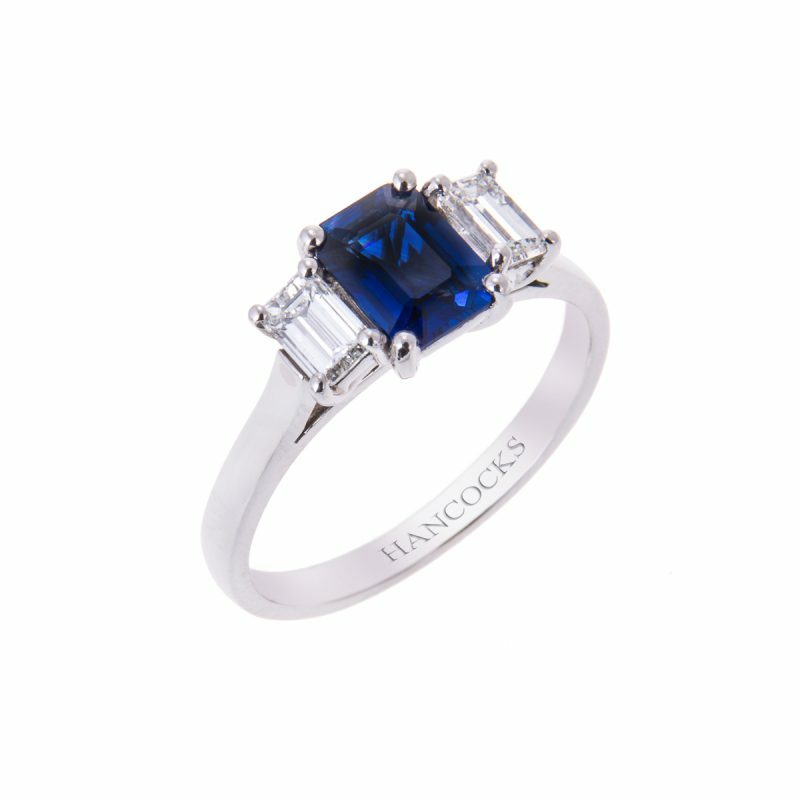 This beautiful ring will sweep her of her feet.